Something for Everyone: Announcing the Version 6 Update! 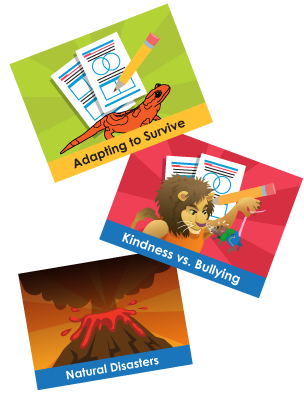 We are thrilled to announce our latest update to the Footsteps2Brilliance Enterprise App that includes a wealth of new books, games, and features organized so that it’s easy to find delightful new content that is just right for you! Find what you need in Level Red, Yellow, or Blue. 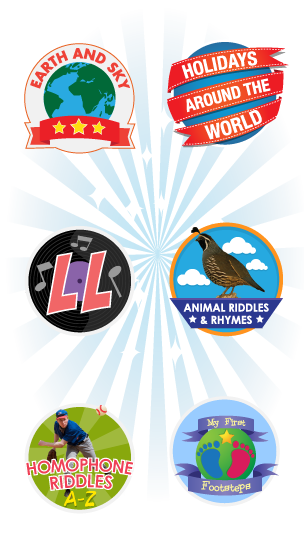 New levels for beginning, intermediate, and advanced readers and writers give children and teachers a quick way to find books and games at just the right level of challenge. To make it even easier on mobile devices, users can download an entire level of books, games, and activities to their device with a single click. Fall in love with a new book in one of the 6 new book series. Learning Lyrics: Students learn common sequences such as numbers, days of the week, and months of the year through the power of music. My First Footsteps: Students develop social and emotional vocabulary and awareness through this series of fun books about community, feelings, and animals large and small. Holidays Around the World: Integrating math and social studies, these engaging nonfiction books explore one holiday celebrated somewhere in the world for each letter of the alphabet. Earth and Sky: Students learn a wealth of Earth Science vocabulary and concepts through these uniquely interactive books. Animal Riddle Rhymes: Students are actively engaged in answering riddles by creating rhyming word pairs that develop vocabulary, teach Life Science concepts, and explore shades of meaning. Homophone Riddles: Students are actively engaged in answering riddles with homonym pairs that develop a wide variety of vocabulary, teach Science concepts, and explore shades of meaning. Increase independence and critical thinking through interactive Project Based Learning. Using the Footsteps2Brilliance books as a catalyst, the Project Based Learning modules have students explicitly define advanced vocabulary, conduct independent research, analyze their findings, use graphic organizers, and create a variety of evidence they can share to demonstrate their deeper understanding. With Version 6, children can complete and submit their projects online. We have even added new rigorous projects related to the new books in version 6! Give your early learners a place to doodle and create. 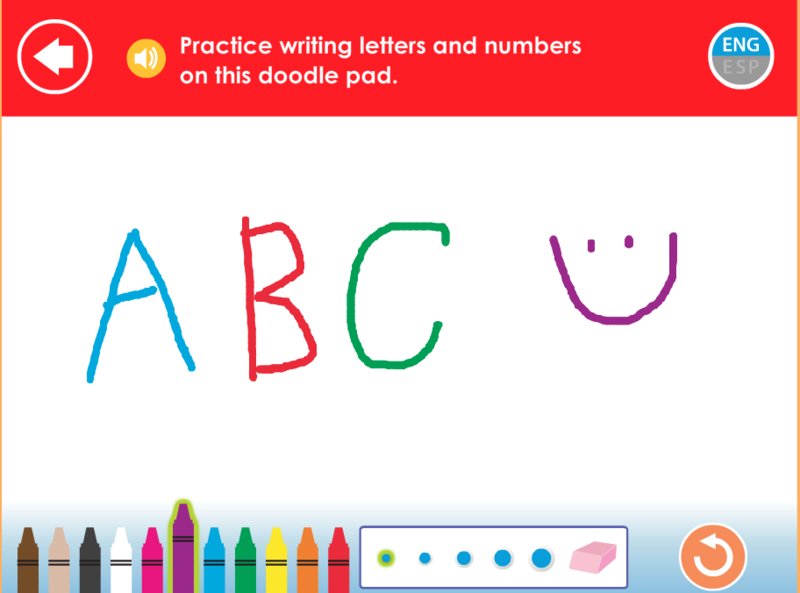 A new Doodle Pad gives students a place to practice writing letters and numbers wherever you go. And for your prolific writers, we have introduced a Create-a-Book on the main screen where children have access to a wealth of artwork that will unleash their creativity as they become authors and publishers. Your favorite books now include a variety of fun new skill practice games. Mega Mouth Decoder 1 book series NEW games: Students practice target letter sounds and phonemic awareness in Phunny Phonics, Yes or No, and Sound Slime games associated with each book in this series. Mega Mouth Decoder 2 book series NEW games: Students practice hearing and spelling long vowels, digraphs, diphthongs, and r-controlled vowels in Four Square, Word Work, and Spelling Spaces games associated with each book in this series. 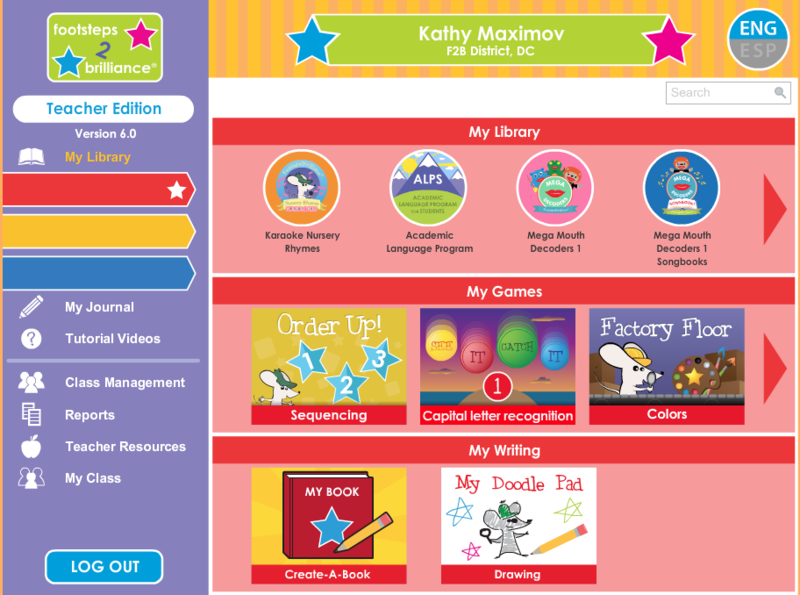 Alphabet Animal book series NEW games: Students practice new vocabulary and STEM concepts in Zookeeper, Fast Facts, and Mighty Match games associated with each book in this series. Mashup Machine: Students write compound words based on picture clues. A B-See Order: Students put letters and words in alphabetical order. Time Travel: Students place sentences on a timeline based on regular and irregular verbs. Sentence Scramble: Students use their logic and understanding of grammar to build a sentence from a set of words. Antonyms Attract: Students match words to their antonyms. Noun Knockout: Students identify nouns from among a variety of words. Noun Town: Students practice sorting nouns by types such as possessives, plurals, and pronouns.